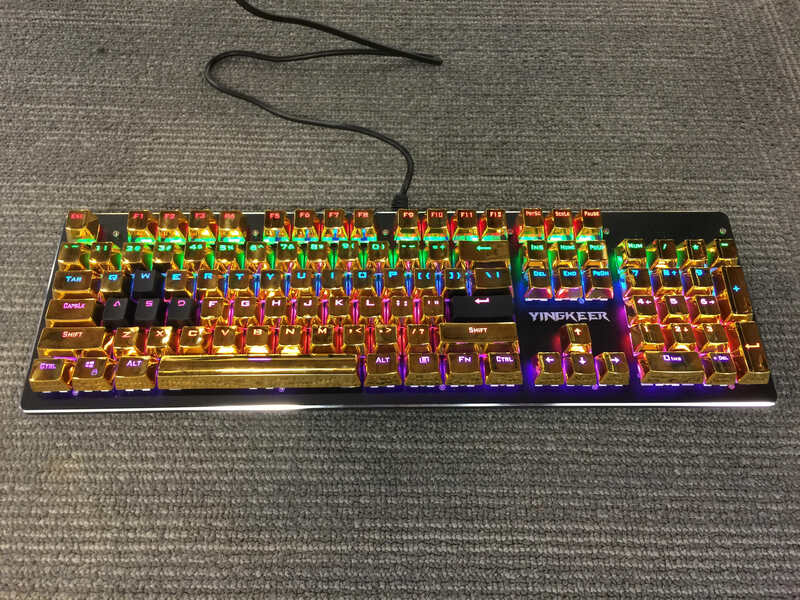 We've all seen them - keyboards which look like a unicorn vomited on it or with austere modifications on classic vintage keyboards. The keyboard below is what prompted me to make this thread and I do indeed own it (but only as a joke, I've never actually used it). Post what you own, have used, or have just happened across at some point in the past. 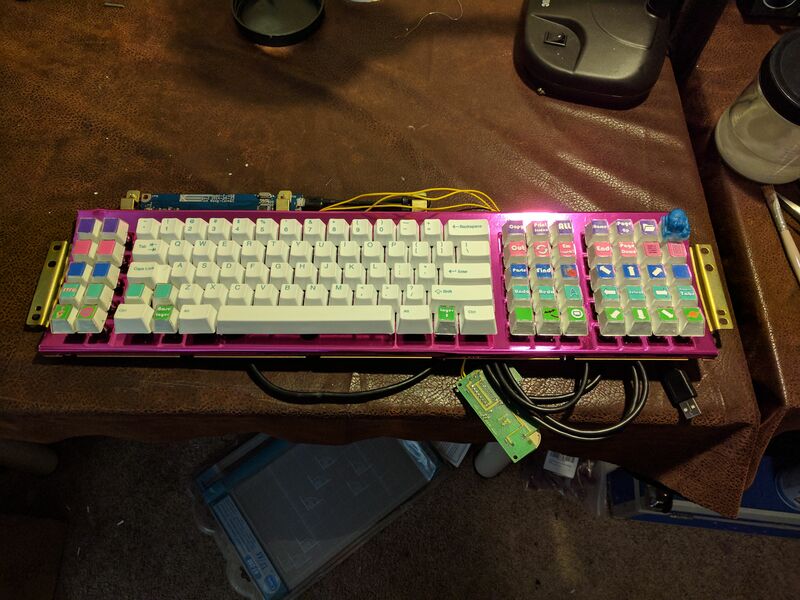 Initially I asked for mechanical keyboards, but at this point post any computer keyboard, membrane or not. Last edited by Blaise170 on 21 Mar 2018, 16:29, edited 2 times in total. Are we supposed to own the keyboard in question? Did anyone save a link to that molested MX5000? Khers wrote: ↑ Are we supposed to own the keyboard in question? I suppose I don't really have any verifiable way of checking so let's say no, though that's half the fun. Good, 'cause I wouldn't want to be caught dead with some of the entries I'm gonna post! Wodan wrote: ↑ Did anyone save a link to that molested MX5000? I cannot tell when a keyboard is molested... or when a keyboard is willing to be caressed. Definitely the keyboards may have some trauma when molested. 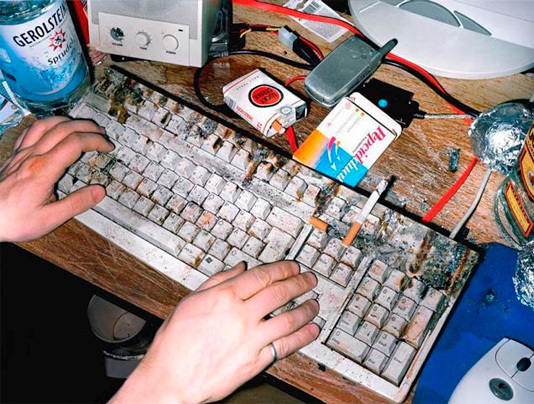 Here's the keyboard that I remember as the dirtiest, perhaps not the ugliest. And I have to do more research to confirm its mechanical identity. The user is probably from Europe. I was thinking in the line of bruised left hand knuckles and the Vodka bottle - how people usually stereotype Russians. But with that box of Pepciddual - this definitely has to be taken in a German speaking country, probably Germany. Neither of those are mechanical. EDIT: unspoiled the pic. Sue me. Last edited by depletedvespene on 21 Mar 2018, 02:08, edited 1 time in total. That name...are you kidding me?! That name...are you kidding me? Pretty sure that it was advertised as waterproof. Am I the only one that hates artisans? Brett MacK wrote: ↑ Am I the only one that hates artisans? No, you are in good company here. How about this one? It has cherry MX black switches. 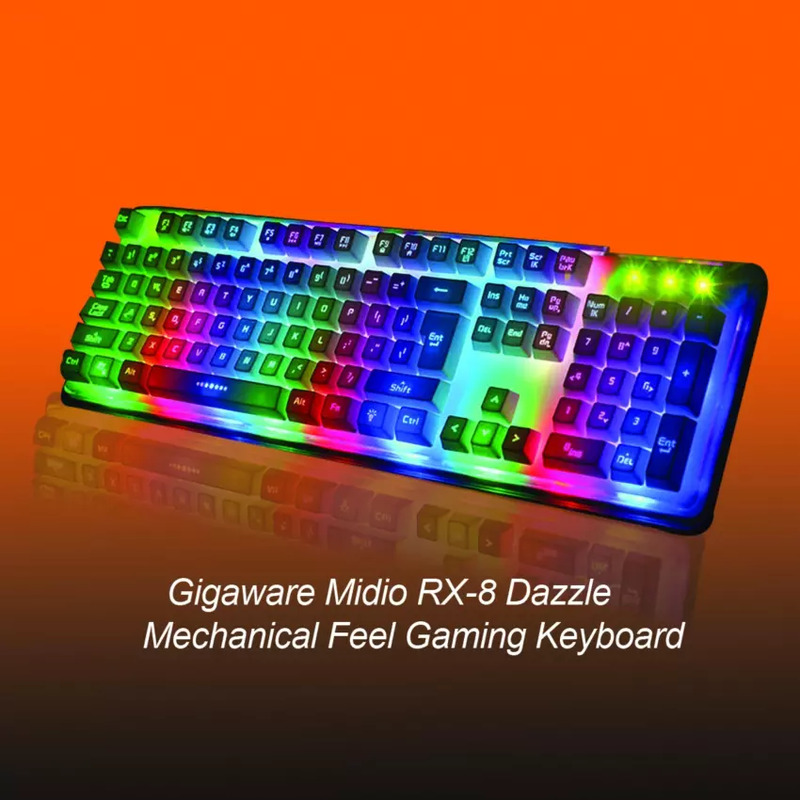 Is it me, or is the model really small, making the garish keyboard look too large in comparison? arkanoid wrote: ↑ How about this one? It has cherry MX black switches. depletedvespene wrote: ↑ Is it me, or is the model really small, making the garish keyboard look too large in comparison? Thought that also but her finger compared to the keys looks about right. My guess is that because of the angle and camera's DOF makes the board seems close to her body.